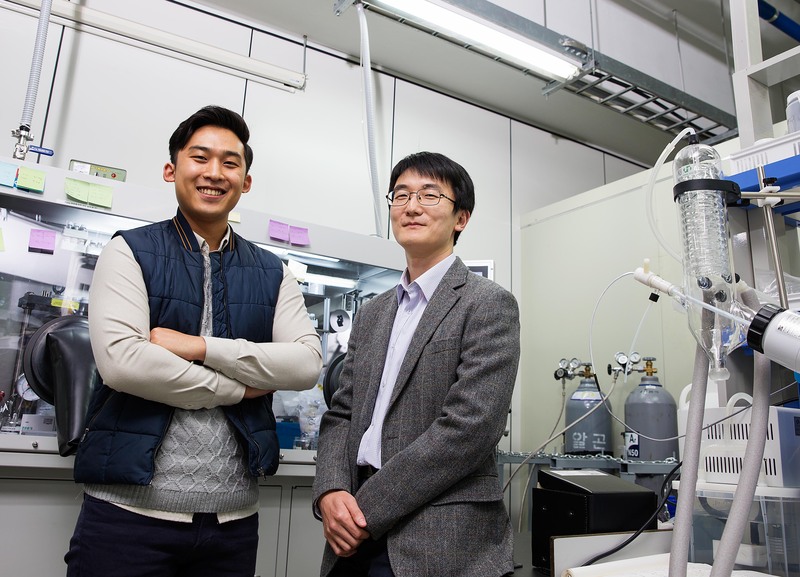 Prof. Yoon Seok Jung of Energy and Chemical Engineering (right) and Dae Yang Oh (right), the first author of the article are having a conversation in their lab at UNIST. Lithium-ion batteries (LIBs), despite being one of the most commonly used in consumer electronics, have one grievous flaw which is a fire safety issue. To resolve some of these safety issues, a new study, affiliated with UNIST has proposed a new class of all-solid-state Lithium-ion batteries that can withstand temperatures above 100°C. Through this study, the team has manufactured a method for producing oraganic-inorganic hybrid solid electrolytes. Using this new type of electrolyte, they successfully fabricated an high-performance all-solide-state lithium batteries (ASLBs) that are nonflammable. This research was jointly conduced by Prof. Yoon Seok Jung (School of Energy and Chemical Engineering) and Prof. Sang Young Lee (School of Energy and Chemical Engineering) of UNIST, and Prof. Young-Gi Lee of Electronics Telecommunications Research Institute (ETRI), Korea. In this study, the excellence stability of sulfide SEs with the SIL (LiG3) and their application in high performance ASLBs were successfully demonstrated. The team discovered that these all-solid-state batteries do not suffer from any safety concern relating to safety hazards, such as solvent leakage and flammability of liquid electrolytes used for commercial LIBs, still providing high energy density comparable to a typical LIBs ideally. The findings have been published in the November issue of the journal Advanced Energy Materials and has been also featured on the front page of the journal. This work has been supported by the Energy Efficiency & Resources Program of the Korea Institute of Energy Technology Evaluation and Planning (KETEP) grant funded by the Korea government Ministry of Trade, Industry & Energy, by Basic Science Research Program through the National Research Foundation of Korea (NRF) funded by the Ministry of Education, and by the 2015 Research Fund of UNIST. 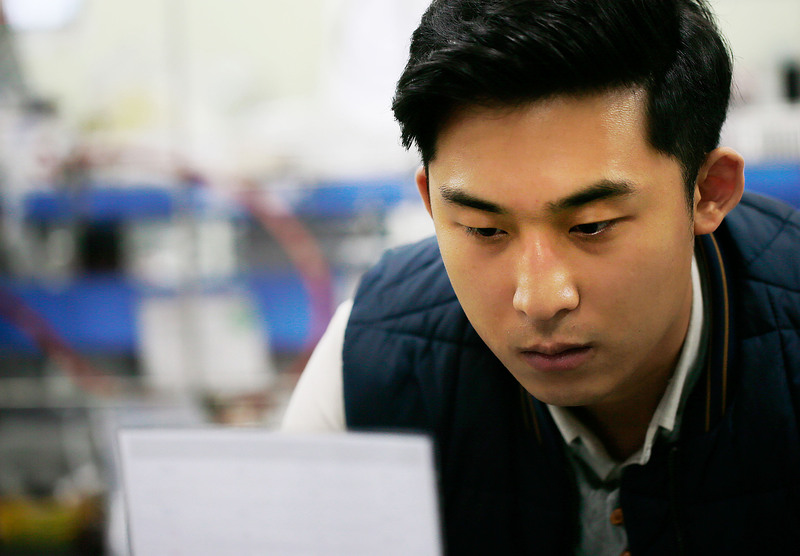 Dae Yang Oh, Young Jin Nam, Kern Ho Park, Sung Hoo Jung, Sung-Ju Cho, Yun Kyeong Kim, Young-Gi Lee, Sang-Young Lee, and Yoon Seok Jung. “Excellent Compatibility of Solvate Ionic Liquids with Sulfide Solid Electrolytes: Toward Favorable Ionic Contacts in Bulk-Type All-Solid-State Lithium-Ion Batteries.” Advanced Energy Materials, 2015.